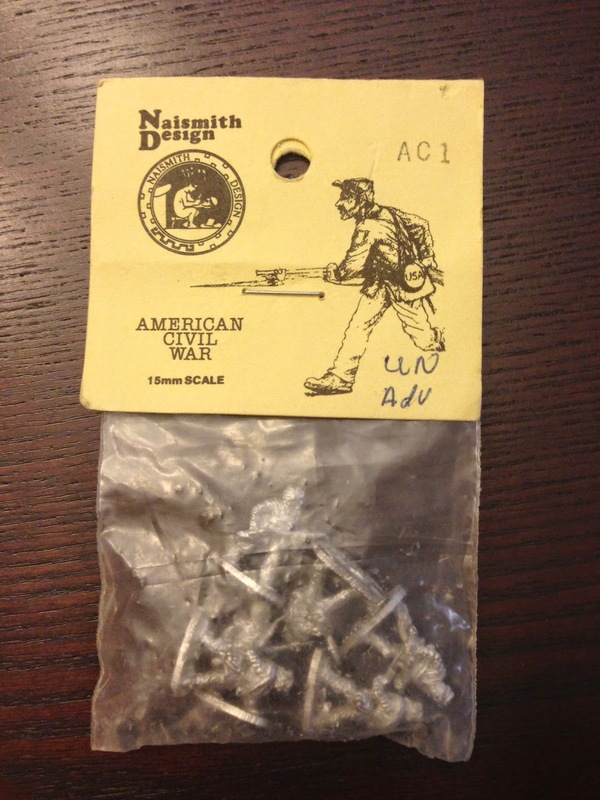 I fell in love with the 15mm Naismith Design miniatures back in the late 80's. As I recall, I was at a convention in Jacksonville, FL (Suncoast Skirmishes) and one of the vendors had a case full of these figures. 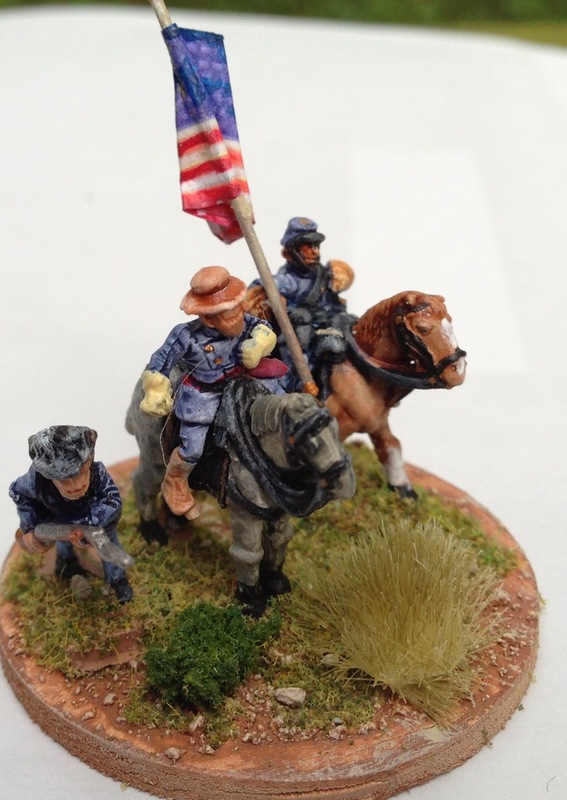 Up until that point, I had only been painting 15mm ACW figures like Stone Mountain, Minifigs, Falcon, Donnington, etc. I walked up to the vendor and the Naismith figures just jumped out and slapped me! They were highly detailed, full of character and well animated. By today's standards they are not the best 15mm figures you can buy, but in the late 80's I would have ranked them at the top. I was in college at the time and didn't have a lot of money, so I just bought a few packs. 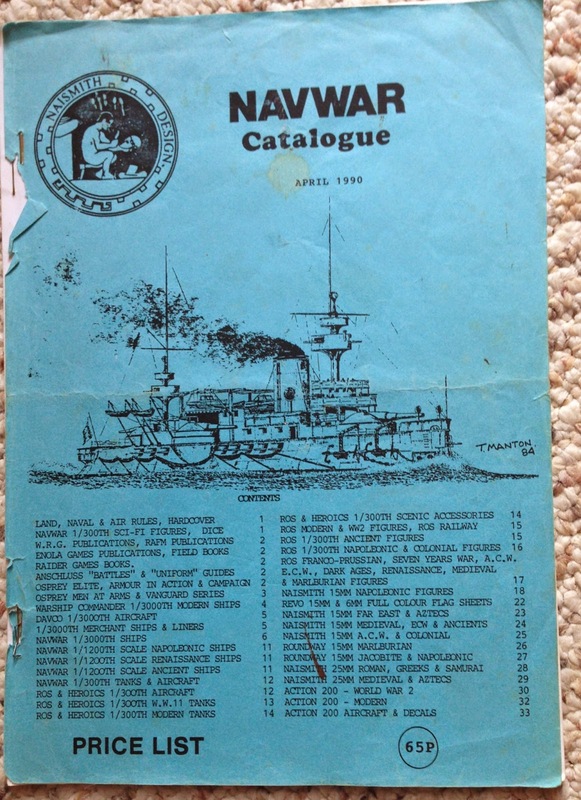 I remember placing a mail order a few months later after I was able to save some extra "miniatures money" and picked up a few more units. I think I sold some along the way (which I regret) but I still have quite a few of these old, cherished units in my collection. I got these for steal on eBay! 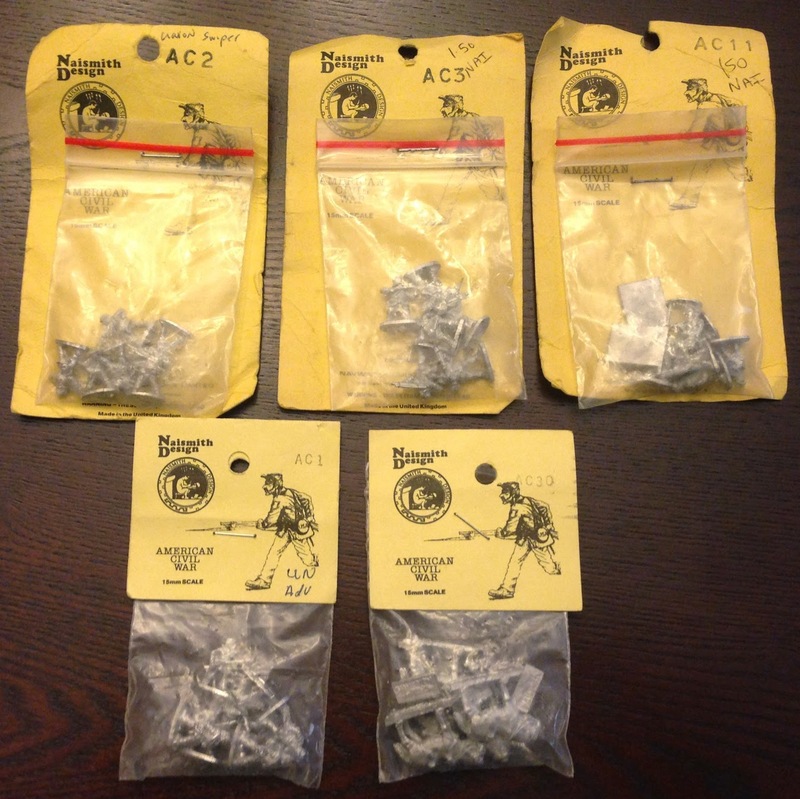 This will be enough for a unit and a few mounted generals. 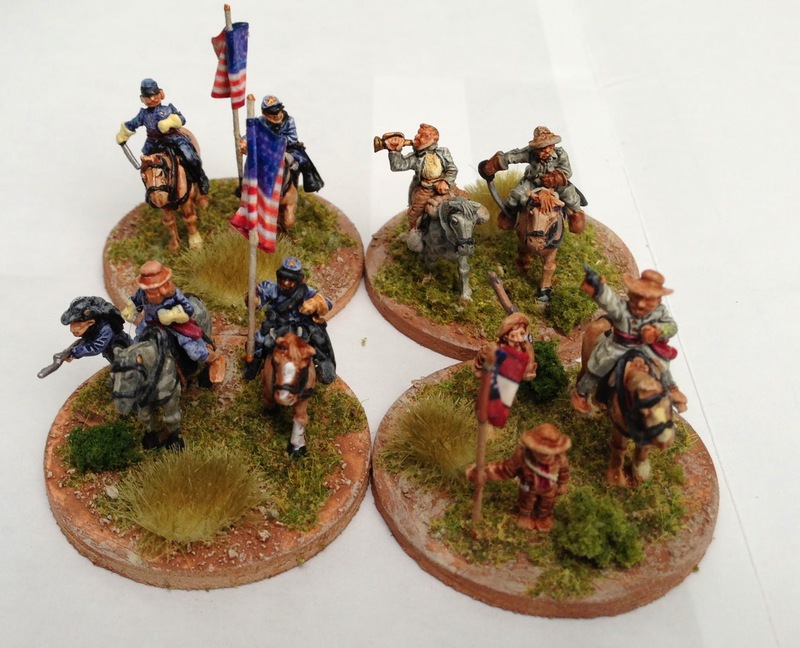 And here are some pictures of the mounted command figures painted. I'll post pics of the infantry units when they are finished. 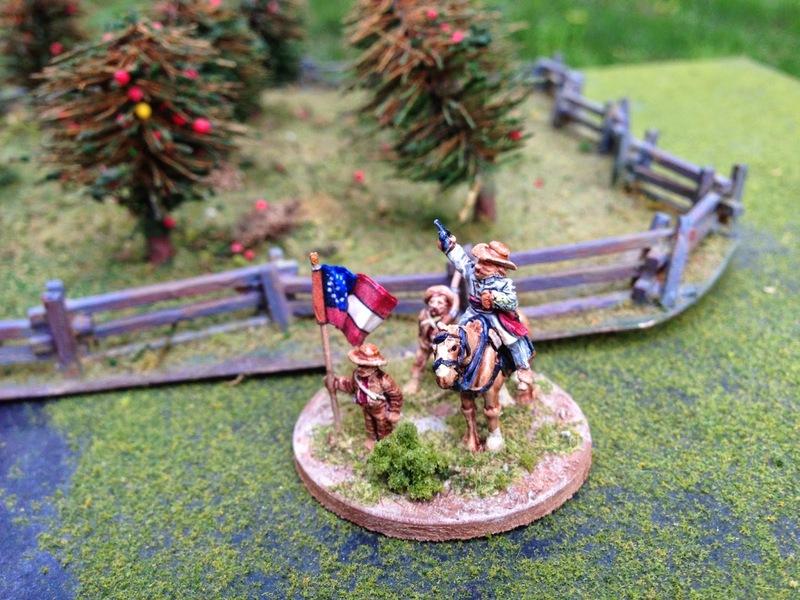 Two USA command stands and two CSA stands. These will likely serve as divisional or Corps commanders. 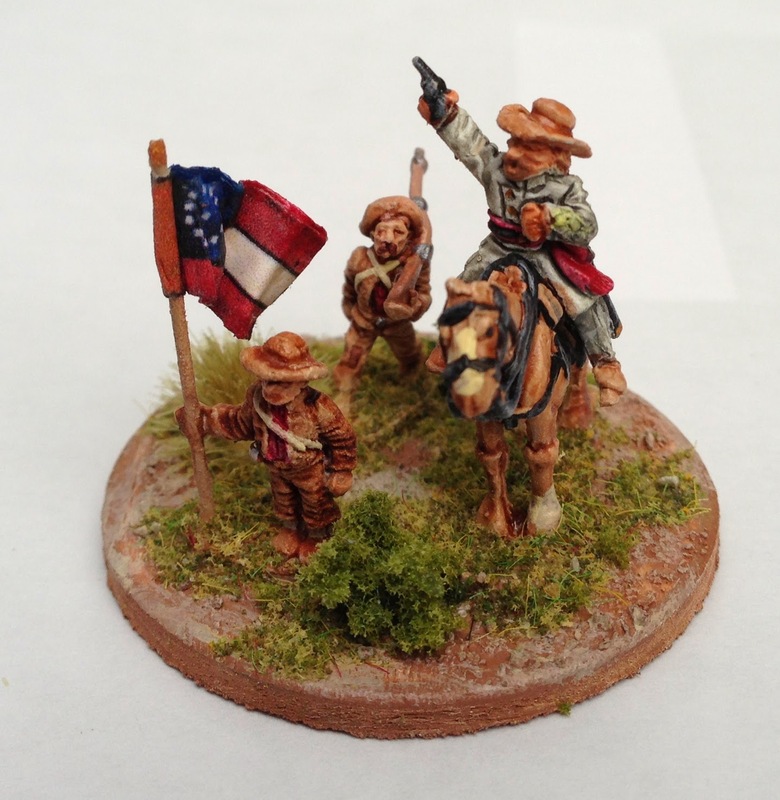 Great sculpting for 15mm figures! The four stands I finished recently. They will be put to good use soon in another Shiloh game. Next to an old apple orchard built by my friend Bob Freeman. Oh Cory, these are absolutely delightful - bravo Sir. These vignettes are really awesome, excellent work Cory! I used to have some of these many years ago. Really full of character and painted up nicely. 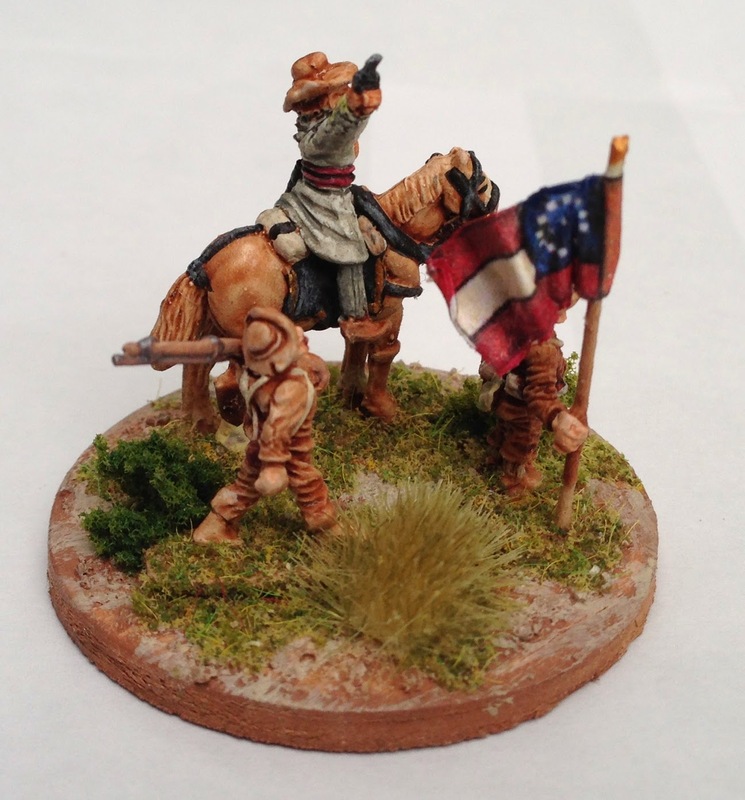 I have switched to 6mm for my ACW now though.